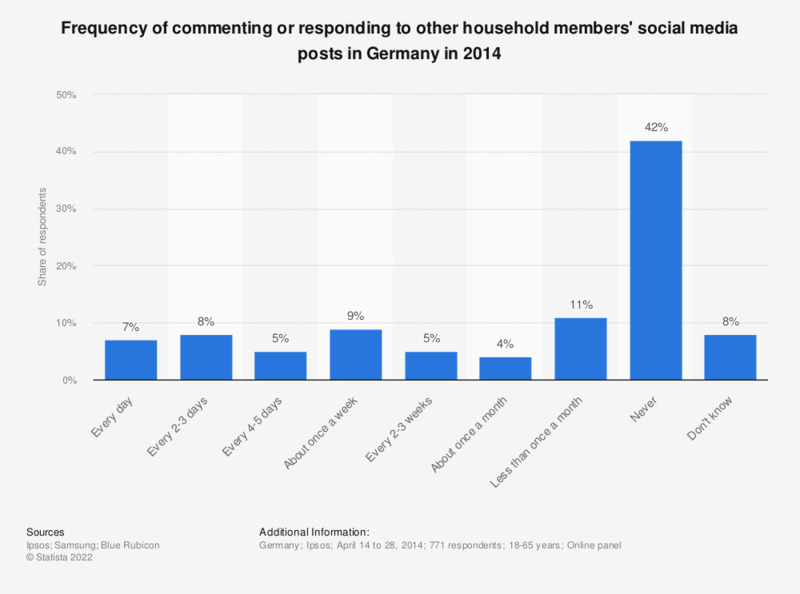 This statistic illustrates how often people in Germany commented on social media posts from other household members in 2014. It reveals that nine percent of German respondents commented on a social media post from another household member every week. However, more than 40 percent of respondents never did it.